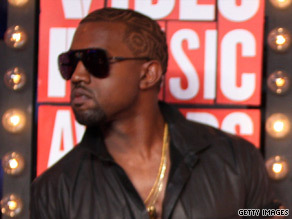 Court official: Incident doesn't "demonstrate a severe character flaw"
LOS ANGELES, California (CNN) -- Rapper Kanye West and his business manager must complete 50 hours of community service in exchange for the dismissal of charges stemming from a Los Angeles airport scuffle with paparazzi last year. Kanye West must complete 50 hours of community service by December 23. West has already attended 12 hours of anger management classes and paid for the camera that was broken during the incident, his lawyer told the judge during a hearing Friday morning. Police arrested West and Don Crawley on September 11, 2008, after an altercation with a photographer and a cameraman who were taking their photos, airport police said. West and Crawley were later charged with three misdemeanors counts: vandalism, battery and grand theft. "There was not a situation where there was a lot of time for either defendant to reflect on what they were doing," said Los Angeles Superior Court Commissioner Mark Zuckman. Zuckman, who presided over Friday's hearing, said he could take the position that "a brief impulsive response" by West and Crawley "doesn't necessarily demonstrate a severe character flaw that needs to be addressed in a criminal case." Still, he said, he did not want "to send a message that ripping the camera from someone's hand and destroying it [in] an act of vandalism is acceptable, no matter what kind of provocation caused them to be angry. There are other remedies." Zuckman said if anyone had been injured in the incident, his decision would have been different. West and Crawley have until December 23 to complete 50 hours of community service, Zuckman said. If they do, he will dismissed the charges. If convicted, West could have faced up to two years and six months in jail, while Crawley could have faced up to five years, according to Frank Mateljan, the spokesman for the city attorney.